A month from now, the Zooey Deschanel/M. 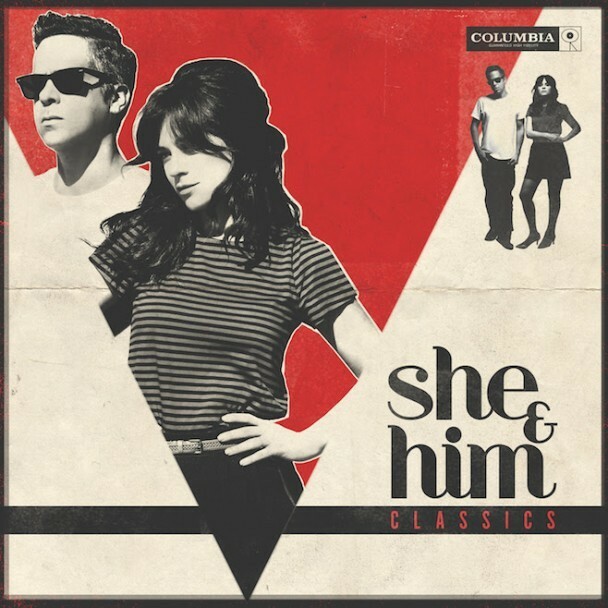 Ward duo She & Him will release their album Classics, a collection of standards recorded live with an orchestra. We’ve heard their versions of Dusty Springfield’s “Stay Awhile” and Frank Sinatra’s “Time After Time.” Now, they’ve shared their version of “Oh No, Not My Baby,” a song that Gerry Goffin and Carole King wrote during the Brill Building era. The song was a hit for Maxine Brown in 1964, and Rod Stewart, Cher, and Linda Ronstadt all recorded their own versions. The She & Him cover is smooth and understated, and it’s easy to forget that you’re listening to it before the three minutes and 23 seconds are up. The duo already played the song on The Tonight Show and Today, and you can hear the recorded version below. Classics is out 12/2 on Columbia. In related news, I would like to know why in the hell there was no Halloween episode of New Girl.